FORT LORAMIE — Anna took control early by outscoring Fort Loramie in each of the first three quarters of a Shelby County Athletic League road game on Friday and won 50-36. Anna hit shots in transition in the first quarter and led 12-6 heading into the second. The Rockets led by as many as 14 before the Redskins made a push and cut the deficit to 22-12 at halftime. Anna pushed its lead to as many as 18 in the third quarter and led 37-20 going into the fourth. Fort Loramie cut the deficit to as little as nine in the fourth but Anna closed out the quarter to earn the win. Griffin Doseck led Anna with 14 points while Riley Huelskamp and Carter Elliott each added 11. Eli Rosengarten led the Redskins with nine points. The Wildcats earned their first SCAL win of the season and their third victory in four games on Friday in Houston. Houston took a 14-7 lead by the end of the first quarter and led 29-27 at halftime. The Wildcats used a 14-4 scoring advantage in the third to take a 41-33 lead. The Jets trimmed the final gap a bit with a 30-29 scoring advantage in the fourth. John Leist led Houston with 16 points. Jairon Douglas scored 14, Tristin Freistuhler scored 11, Peyton Arnold added 10, Adam Winner scored nine and Brennan Arnold scored eight. Isaac Ambos led Fairlawn with 21 points. Skyler Piper scored 17, Ashton Piper added 15 and Dominic Davis scored nine. The Tigers took control with a 15-6 scoring advantage in the second quarter and earned a home SCAL win on Friday. The Trojans led 8-6 at the end of the first before Jackson Center’s big second quarter. Botkins chipped into the lead a bit with a 12-11 scoring advantage in the third but the Tigers closed it out with a 21-18 advantage in the fourth. Trent Platfoot led Jackson Center with 14 points. Aidan Reichert added 11 and Christopher Elchert scored 10. Spencer Heuker led Botkins with 11 points while Zane Paul and Jayden Priddy-Powell each scored 10. Tyler Free added nine points. Perry made quick work of Lehman Catholic in a Northwest Central Conference game on Friday in Lima. The Commodores took a 21-4 lead by the end of the first quarter and pushed their lead to 41-13 by halftime. They then used a 16-3 scoring advantage in the third to increase the advantage to 41 points heading into the fourth. John Cianciolo led Lehman with eight points while Bryce Kennedy added six. Minster built a 20-point lead by halftime and cruised to a MAC win on Friday in New Knoxville. The Wildcats led 14-3, 33-13 and 55-18 at the quarter breaks. Jarod Schulze led Minster with 20 points. Jacob Salazar scored 12 and Jack Heitbrink added 11 and had a team-high three steals. 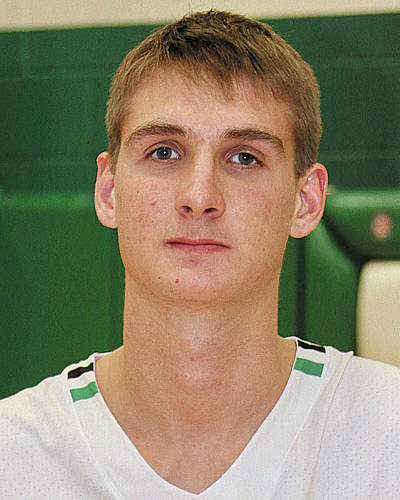 Cody Frericks led Minster with nine rebounds and Mike Ketner had nine assists to go along with seven points. Carson Bierlein led New Knoxville with 10 points. The Wildcats shot 25 for 59 (42 percent) from the floor and outrebounded New Knoxville 31-17. The Rangers shot 11 for 29 (37.9 percent) from the floor. Ansonia ran away in the second half to beat a shorthanded Riverside in a nonconference game on Friday. The Tigers took a 17-11 lead by the end of the first quarter and led 28-22 at halftime. They then outscored Riverside 15-7 in the second and 14-10 in the fourth. “Tonight, we were a little short-handed without Lane Willoby and John Zumberger, but that’s not a good enough excuse for the way we played,” Riverside coach Seth Bodenmiller said. “We came out flat and it took us a while to get going and for shots to start falling. While we didn’t play great basketball in the first half, we were pretty confident that we were going to compete since we were only down six. Kyle Knight led the Pirates with 13 points and eight rebounds while Kameron Schlumbohm scored 11 and Wyatt Auflick added eight. Riverside shot 15 for 44 (34.1 percent) from the floor and was outrebounded 37-21. After a close first quarter, Marion Local blasted New Bremen the rest of the way in a MAC game on Friday in Maria Stein. New Bremen led 9-8 at the end of the first but the Flyers led 22-14 at halftime. They then outscored the Cardinals 11-6 in the fourth quarter and 23-5 in the fourth. Nolan Bornhorst led New Bremen with 11 points.